UnGagged LA Tickets on sale now! UnGagged London is a 2-day SEO & Digital Marketing conference (April 1-2nd) with one-day Masterclasses (April 3rd). UnGagged covers an extensive breadth of internet marketing topics for the intermediate to advanced. Whether you’re interested in our London conference (April 1-3, 2019) or our US conferences, both events discuss topics such as SEO, Technical SEO, Digital Marketing strategy, Content Marketing, Links, Social Media, Influencer Marketing, Legal, Reputation Management, CRO and more. Digital Marketing Industry leaders tell it like it is. Speakers are unrestricted; meaning no sales pitches, no fluff, no BS – just actionable methods on what actually works for them. Exclusive content. All video recording devices are banned from the Sessions, allowing the expert speakers to share their candid tips privately to attendees, without the constraints of big corporate agendas. Get in with the UnCrowd, and learn to be the best by networking with the best. Supercharge your Digital Marketing ROI by networking with an exceptional circle of industry professionals, all of whom are eager to build business relationships and contacts in a relaxed environment. All-inclusive ticket. 2 days, 25 Speakers, networking events, WiFi and catered meals – all included in the ticket price. 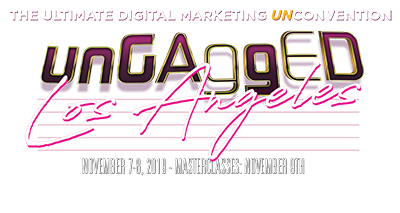 This UnConventional digital conference is dedicated to delivering actionable methods and strategies covering all aspects of online marketing, without all the fluff and sales pitches. Want to learn more? Sign up for our newsletter here. We’re back at etc.Venues County Hall! UnGagged London 2019 will take place at etc.Venues County Hall, an iconic setting on the Southbank of the Thames. County Hall sits shoulder to shoulder with The Houses of Parliament and The London Eye. The area is packed with pubs, bars and restaurants, so once the sessions are done and you’ve networked your socks off, you can explore the best London has to offer. What makes UnGagged different to any other tech conference? Freedom. The freedom to provide attendees with actionable internet marketing strategies, that have been tested and proven by an exclusive group of renowned industry leaders. These speakers will openly discuss their trials and tribulations with like-minded individuals in the internet marketing industry. Why? Because it is unrecorded. All recording devices are banned from an UnGagged conference, enabling the world-class speakers to cut the nonsense, sales pitches and hidden agendas in their content; assured that no content will appear in a YouTube clip or eBook before the day is over. The point? To give intermediate to advanced marketers methods they can implement back at work, ultimately creating a competitive edge no one will see coming. The UnGagged founders discovered a significant gap in the market, where SEOs and Digital Marketers were missing the opportunity to share their candid tips and advice with fellow entrepreneurs and leaders, in a space of complete transparency and exclusivity. All topics from SEO, SEM, content, links, mobile, social media etc will be covered – no stone will be left unturned. Is UnGagged right for me? 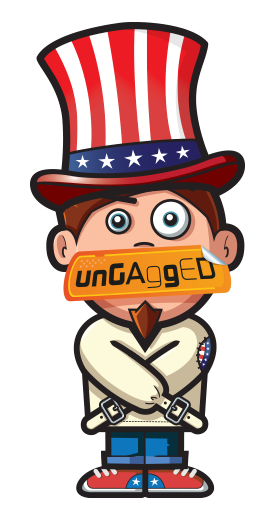 Sponsor or Exhibit with UnGagged in 2019! UnGagged offers you an unmissable opportunity to showcase your product or service to key industry players. Promote your brand to an audience made up of 77% senior-level decision makers and influencers from the leading brands and agencies. For more information on sponsoring and exhibiting, please click here.